Are you interested in a sweet, delicious, creamy topping for your next dessert? 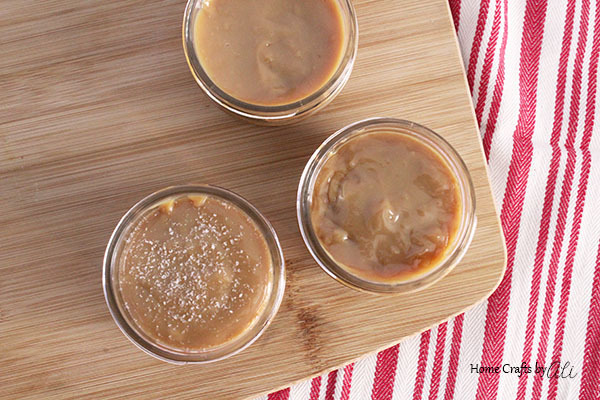 You have got to try this Dulce de Leche you can make in the Instant Pot! Dulce de Leche can be used to dip apples or pears in, as a sweet addition to your ice cream, to top your next cheesecake, as a spread for your weekend pancakes, add as a filling for a tart, for a gift, or even enjoyable by the spoonful. 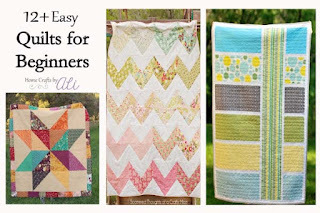 Today I'm teaming up with a fun group of bloggers for the March Pinterest Challenge! It's my first time and I'm excited to share with you this Pinterest inspired recipe. Don't forget to visit the links at the bottom of this post to see the other projects/recipes from my blogging pals. This post contains affiliate links. I will receive a small portion of any sale in exchange for advertising these products. I have had my Instant Pot for a bit over a year and I love the simple clean up of just one item and how it can save time with those multi-hour recipes. Most of the recipes I had tried were soups, chicken meals, pulled pork, and of course the ever wonderful "hard boiled" eggs. A while ago I wanted a sweet addition to our after school snack of apple slices and searching on Pinterest led me to this pin as inspiration. I happened to have the ingredient I needed, so I gave it a try. While making dulce de leche on the stovetop isn't hard to do, it can be time consuming. You have to keep an eye on the water level for hours to make sure it is working and you don't run out of water. That is why I love the Instant Pot! Instead of taking 2-3 hours on the stovetop (or longer in the slow cooker), you will have a sweet treat in about an hour total. While some recipes you find call this caramel, and it does have a similar taste, this is not the correct term. Caramel is made by mixing water and sugar. 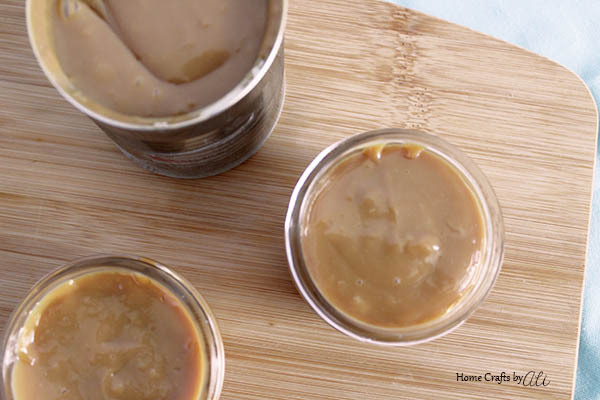 Dulce de leche is a sweetened milk that has been condensed down and it is oh-so-delicious. 1. Remove the label from the can of sweetened condensed milk. 2. Take the top off the can of sweetened condensed milk. You do not want to leave the lid on a can while under pressure for safety reasons. Cover with a piece of aluminum foil. 3. Place the trivet/cooking rack in the bottom of the Instant Pot. 4. 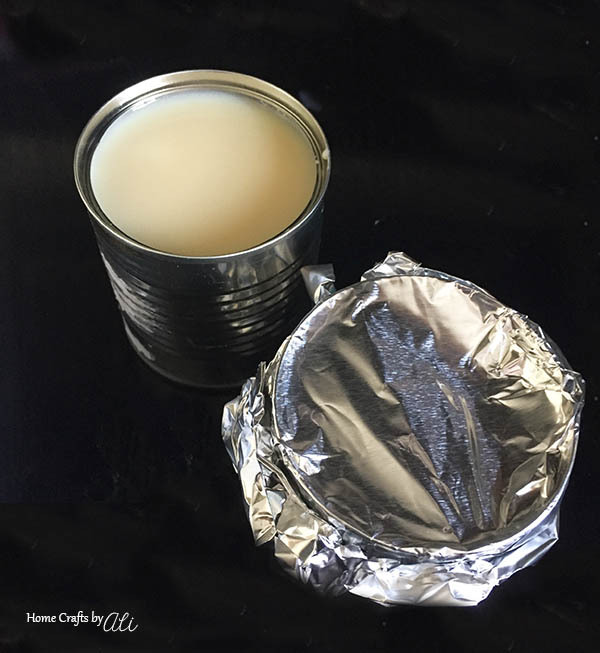 Put the aluminum foil covered cans of sweetened condensed milk on top of the trivet. You can fit 3 cans in a single layer in the 6 quart size pot. 5. Add enough water to the bottom of the pot to come halfway up the cans. 6. Put the lid on the Instant Pot and securely close. Press Manual (or Pressure Cook) and use the - or + buttons to change the time to 35. It will take about 10 minutes to come to pressure, then start counting down the cook time. If you want a deeper color, you can add additional time when setting how long to pressure cook your sweetened condensed milk. 7. Your Instant Pot will beep when done pressure cooking. Then the screen will change and it will show "L" followed by a number. That is your pot counting up the time since it has finished and is natural releasing. 8. You can let your pot natural release for about 15 minutes, then open the seal valve to let any remaining pressure escape. 9. The cans will be EXTREMELY hot! You will need to use an oven mitt/hot pad (or thick kitchen towel) to remove the cans of what is now dulce de leche. Put the cans on a cooling rack for about 20-30 minutes. 10. 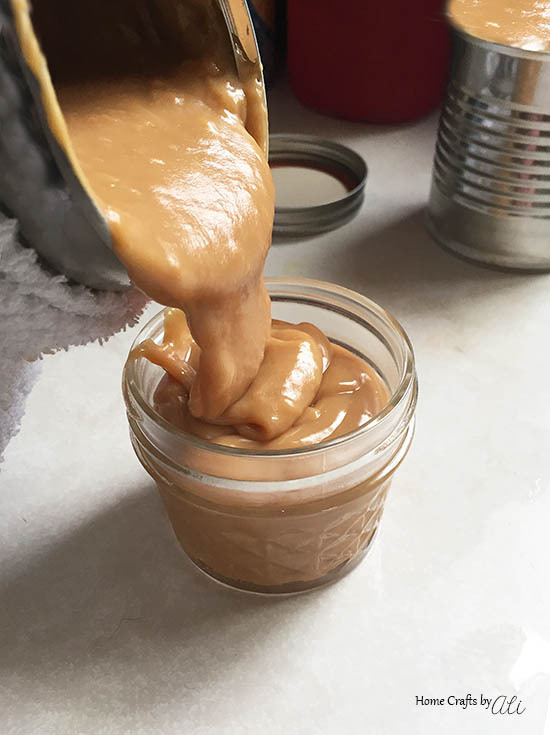 Using a hot pad or towel to hold the warm can, stir the dulce de leche. It will be slightly lumpy to start out, but will smooth out as you continue to stir for a few minutes. At this point you can spoon over your favorite dessert, add to a muffin mix, use as a dip, or just eat it by the spoonful. I won't judge. If you are using this as a gift, pour some of this deliciousness into a canning jar (4oz jelly jars are a great size). You will greatly enjoy the dulce de leche just as it is, or you can add a sprinkle of sea salt or a teaspoon of vanilla extract to the jar. I've tried it all three ways and liked each of them. 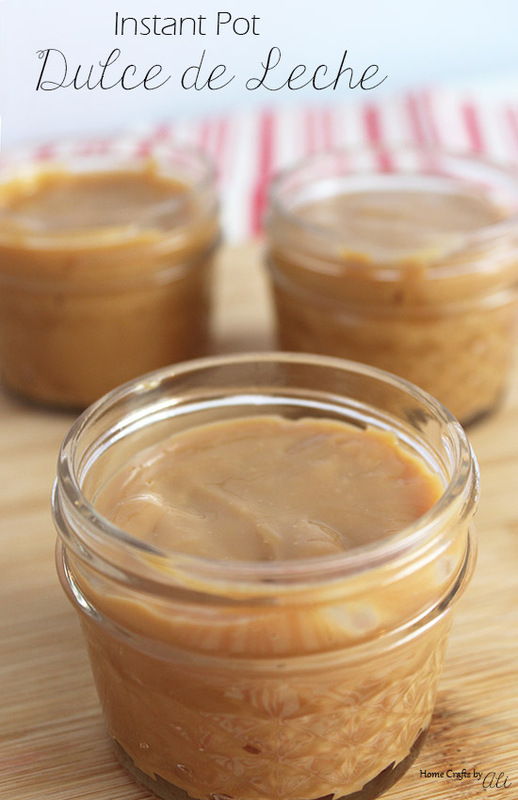 Store your dulce de leche in the refrigerator. It will be good for up to 3 weeks. But let's be honest....I'm sure it will be gone by then! Don't we all have plenty of Pinterest boards with lots of inspiring pins....that we pin and don't look at again. Well, this fun monthly challenge helps us (and you too) to not just pin, but to make those ideas happen! 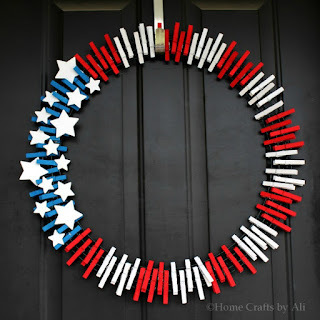 Check out the crafts, recipes, decor pieces and tips that we have individually chosen to try out this month. This sounds so scrumptious, I might dig in with a spoon. Yum! Oooo that looks yummy! And so easy! It's my first month joining the Pinterest Challenge too. Can't wait to see what next month brings! Yes so easy! Those are my favorite recipes! It was fun to join this month and actually try out a pin. I'm already looking through my boards to see what I'm going to try next month. I love this with wedges of fresh apple, perfect for dipping in. Here in the UK you can get this ready done in the tin but it can be hard to find in store so being able to make your own is a great idea. 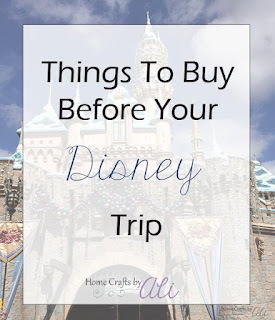 I think I've seen it ready made in stores too, but it's quite expensive and hard to find as well. 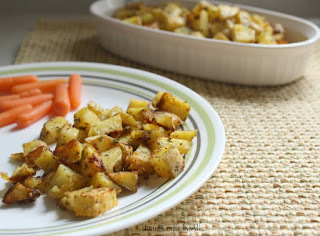 It is so good with apple wedges! This sounds delicious and so easy. I tried making dulce de leche in the microwave with somewhat good results last month and we turned it into a no bake pie but it was a pain to keep stopping the microwave and stirring it every few minutes. Adding it as a pie filling sounds decadent! I much prefer the set and forget of the IP vs the microwave. We're always snacking on apple slices. 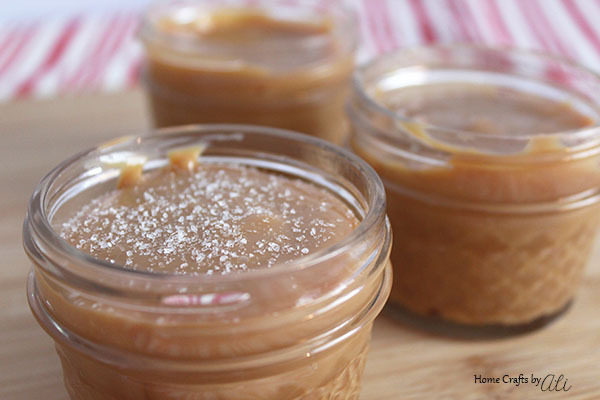 I think we need some of this dulce de leche to dip them in! Yum! Yes, do it! Since making it the first time, I seem to have a can in the fridge to use just for apple slices. We have bought more apples in the last month that in the last few years! I have several Argentinan friends so I tried dulce de leche every time there is a party, but your recipe looks easy to make. Maybe I can surprise them next time! It is easy! Hope it goes well for you! That looks so delicious! An Instant Pot is on my wish list, so I will have to wait to try it! Thanks for visiting Cherryl. I think you will like having an Instant Pot, I find that I really enjoy the flavors of the meals much better. This looks so yummy! It's really just another reason to invest in an instant pot - haha! It is yummy! Yep, the Instant Pot is pretty handy! I've made this on the stove and in the slow cooker and both methods take a long time. 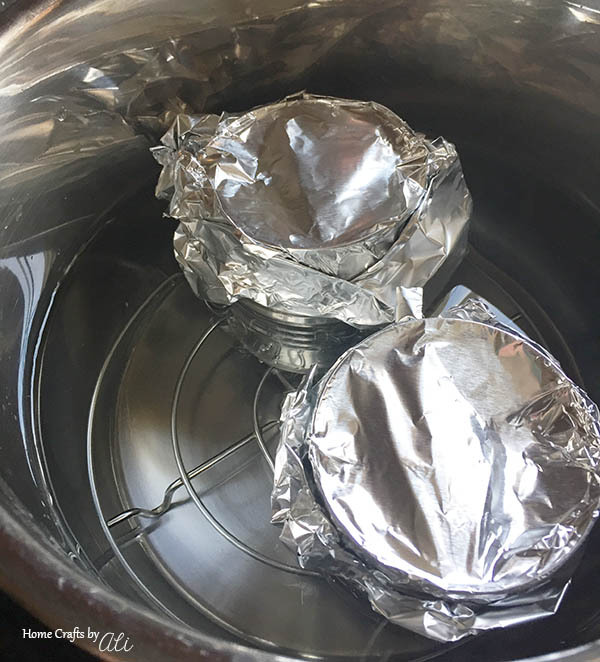 I like the idea of using the instant pot and have pinned this post to give it a try. This looks DELICIOUS! I'd eat it straight from the container. yum! Haha! That's the way to do it! I had no idea this was only 1 ingredient! We just got an instant pot and we're slowly learning how to use. Am saving this one. Love the idea of gifting. PINNING TO MY RECIPE BOARD. YUMMY RECIPE. My daughter has an instant pot - I'll have to pass this recipe on to her! Oh, this looks amazing! I don't have an Instant Pot, but it's recipes like this that make me want to get one. Pinned.